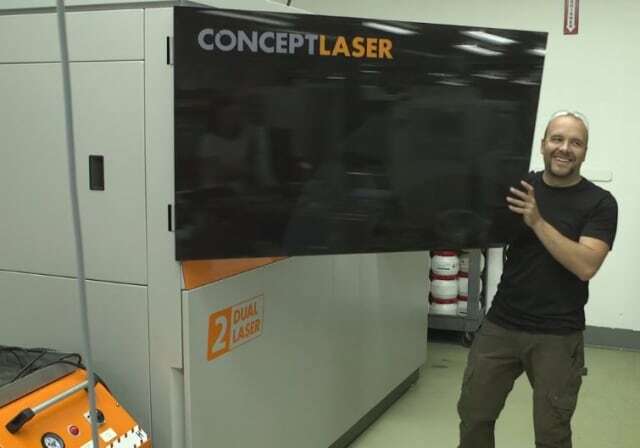 Thanks to our friends at Concept Laser/GE Additive, and H2 Manufacturing Solutions, Engineering.com and James Anderton told the story of how we worked with a client, Reaction Systems, to create a part using additive manufacturing / 3D metal printing that earned them an extension of their SBIR contract. Flying at very high speeds has always been a challenge. By the 1950s, the problem was understood. Aerodynamic drag roughly scales with the square of airspeed; double the speed, and the drag goes up four times. Streamlined shapes have partly overcome this problem, but the solution then, as it is now, is more thrust. Rocket engines can deliver the necessary thrust, but expend their fuel in mere minutes. They must also carry their own oxidizer along with the fuel, adding cost and weight. Jet engines are the obvious answer, since they take their oxidizer directly from the air. However, compressing that air, adding fuel and igniting it becomes more challenging at higher speeds. Supersonic shockwaves must be managed with complex mechanical systems, and combustion instability must be addressed, also with complex systems. The biggest problem is simple: heat. From the mid-1950s on, aircraft capable of Mach 2 speeds and faster were frequently limited not by available thrust or drag, but by the heat buildup caused by atmospheric friction. The same is true inside turbojet and ramjet engines: at hypersonic speeds of Mach 5 and higher, existing aerospace alloys simply burn up. Paradoxically, very high combustion temperatures are key to high thrust, which is essential for high speed flight. It’s a double-edged heat problem. Why use an endothermic system involving fuel when you could just hang a radiator in the airstream? At hypersonic speeds, it would burn off the airframe in a fraction of a second, meaning conventional heat transfer processes are out. That’s why Reaction Systems’ endothermic fuel system works: heat isn’t rejected to ambient; instead, the fuel is the working fluid, but not in the conventional sense. 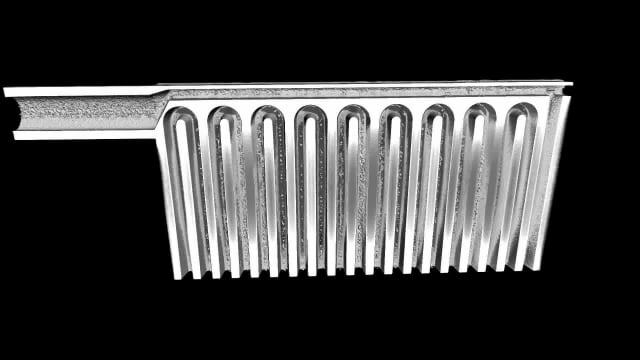 Reaction Systems’ heat absorbing fuel is a key enabling technology, but transferring the heat to the working fluid, while providing a maximum surface area for catalysis inside the heat exchanger, is essentially impossible to achieve with conventional heat exchanger fabrication technologies. Arvada, Colorado-based Faustson Tool Corporation, located near Reaction Systems’ laboratory, isn’t just another machine shop. Faustson has built successful parts for NASA and several major aerospace OEMs, including parts for the F-35 program, and has extensive experience in 5-axis machining and multi-axis EDM. Mike Mussel and the Concept Laser M2 cusing Multilaser. 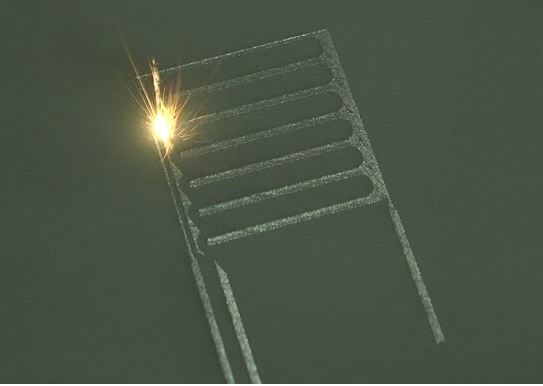 The firm recently added metal additive capability in the form of a M2 cusing Multilaser machine from Concept Laser, a GE Additive company. With a 250 x 250 x 280mm build envelope, dual lasers, 20-80micron layer thickness and, critically, the ability to process aerospace “hot-section” superalloys, the Faustson-Concept Laser relationship was the right process in the right place at the right time. Faustsons’s M2 cusing Multilaser can build with a variety of high-performance alloys, including cobalt-chromium grades, Ti6Al4V, pure titanium and the material for Reaction Systems’ heat exchanger, Inconel 718. The overall plan was simple in concept, according to Engel. “We had a Phase Two project with the Air Force that was coming to an end. We approached the Air Force and said that we wanted to take this technology to the next level with a demonstration test in a more relevant environment. And so, we suggested that we manufacture a cooling panel to replace one of the side walls of their ground-based scramjet engine at Wright Patterson Air Force base. They liked that idea, but they wanted the panel to be additively manufactured. Faustson printed it, and then we were able to get CT scans and X-rays of a mock-up panel section showing the internal geometry that we had designed. It was a really key part of what gave the Air Force the confidence that we could do what we said we were going to do with these panels,” said Engel. One way in which DMLM part making differs from machining is work holding. There’s no Kurt vise or mechanical gripper in an additive process. To learn more about how Faustson can help you with your additive manufacturing needs, contact us today.